Two researchers at the Dahdaleh Institute for Global Health Research have created a forum to tackle decision-making challenges facing humanitarian organizations. 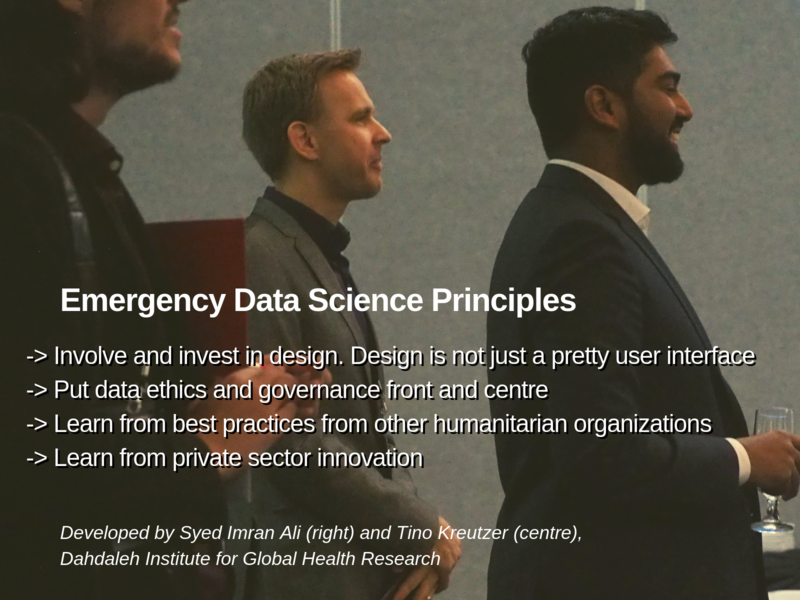 Imran Ali and Tino Kreutzer have been on the frontlines of humanitarian response and experienced first-hand the opportunities and challenges that come with large amounts of data. Recognizing the need for transdisciplinary solutions to complex humanitarian data science challenges, international experts from five key groups have been invited to participate: humanitarian field & subject matter experts, humanitarian innovation specialists, data and computer science researchers, tech developers, and ethicists & governance specialists. Centred around challenges submitted by the United Nations High Commissioner on Refugees(UNHCR), REACH Initiative,Médecins Sans Frontières, and other humanitarian organizations, these experts will work together to develop practical solutions to real problems. Over the months to follow, Ali and Kreutzer, will work closely with participants in the design, fundraising, and implementation process to make these ideas a reality. Connecting innovative research and field experience, this initiative models a process for engaging real-world challenges in high-stakes domains, and exemplifies the strength of collaborative approaches. Emergency Data Science: Taking Advantage of the Data Floodtakes place December 4-5, 2018 at York University.